Wainwrights Pictorial Guide to the Northern Fells has a chapter on Blencathra. The quotes used in the main text on the right were taken from this book. At 845 meters, Blencathra is not as high as neighbouring Skiddaw. It is, however, more of an exciting fell in many respects. 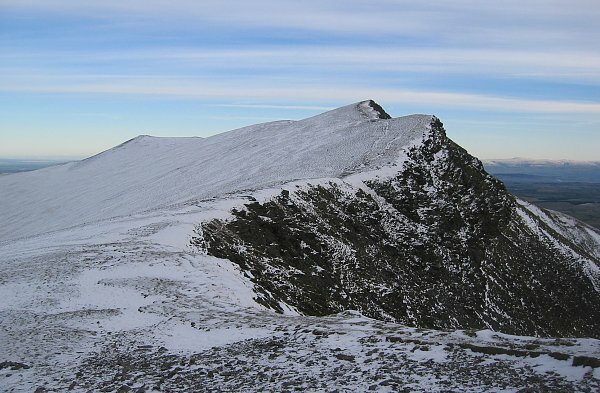 Whereas Skiddaw has mainly gently routes to its summit, Blencathra has a number of rocky ridges, the most dramatic being Sharp Edge on its north-eastern flank. 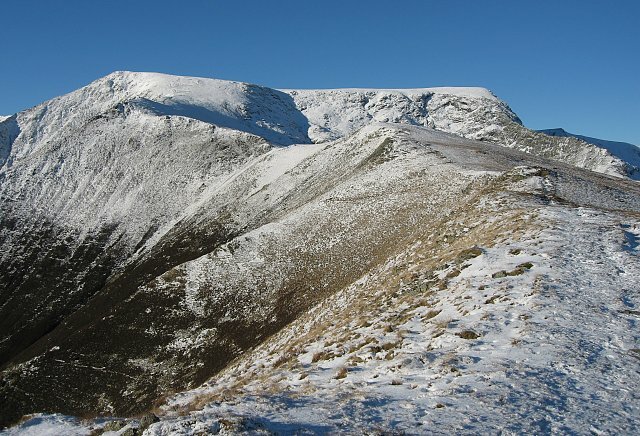 Because many of Blencathra's ascents involves some challenging scrambling, Wainwright refers to this fell as "... a mountaineers mountain" (Wainwright 1962, Blencathra 2). 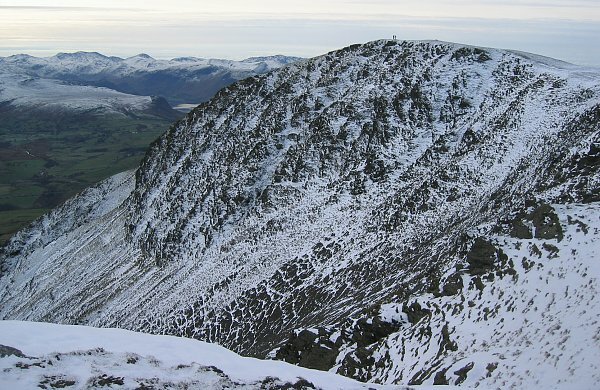 Wainwright notes, "Blencathra is one of the grandest objects in Lakeland. And one of the best known. 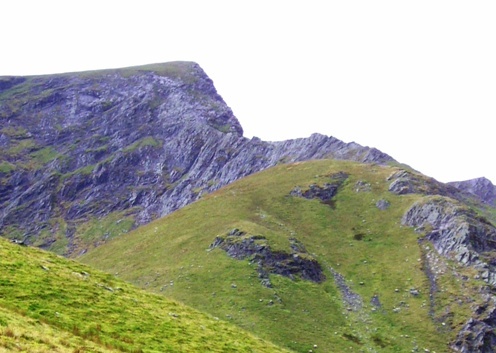 Seen from the south-west, the popular aspect, the mountain rises steeply and in isolation above the broad green fields of Threlkeld, a feature being the sweeping curve leaping out of the depths to a lofty summit-ridge, where the skyline then proceeds in a succession of waves to a sharp peak before descending, again in a graceful curve, to the valley pastures far to the east" (Wainwright 1962, Blencathra 2). As you can see from the 3d map of Blencathra, there are walking routes from the Blencathra Centre, Threlkeld and from Scales. 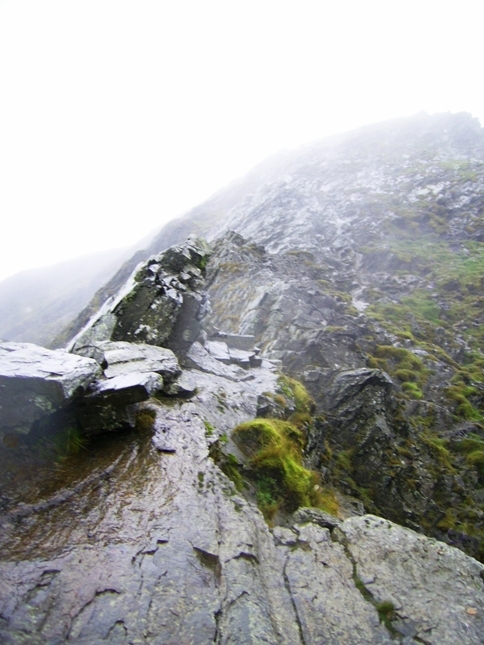 Routes that involve scrambling are Hall's Fell ridge and Sharp Edge which start at Threlkeld and Scales respectively. Easier routes go from the Blencathra Centre via Blease Fell and from Scales via Scales Fell. The map also features two excellent routes to Blencathra via Gategill Fell and Doddick Fell. 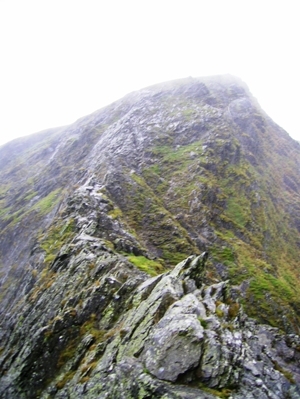 This photograph of Sharp Edge and Foul Crag was taken on my approach to the ridge from the lower slopes of Scales Fell. 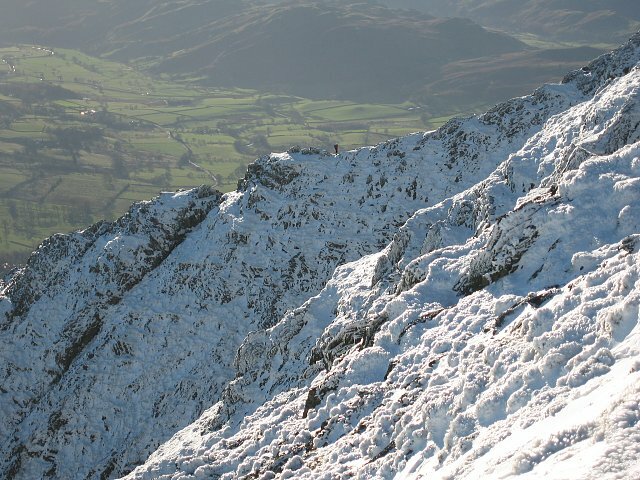 The steep climb up onto Foul Crag and the Blencathra saddle can be seen at the end of the ridge. Blencathra walk, 25 October 2009. 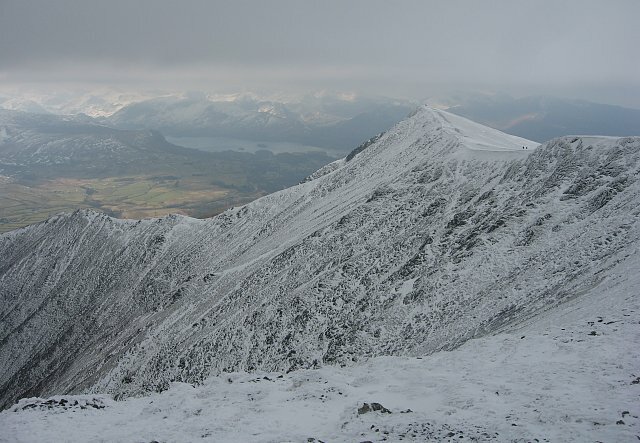 This is another picture of Sharp Edge taken on my Blencathra Walk, 25 October 2009. 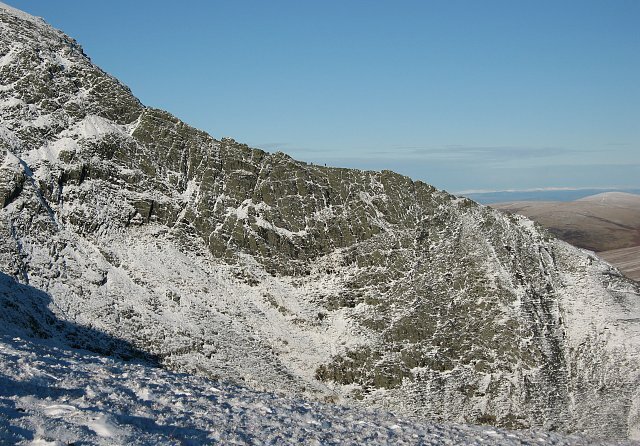 Wainwright describes Sharp Edge as follows ... “Sharp Edge is a rising crest of naked rock of sensational and spectacular appearance, a breaking wave carved in stone. The sight of it at close quarters is sufficient to make a beholder about to tackle it forget all other worries, even a raging toothache” (Wainwright 1962, Blencathra 25). 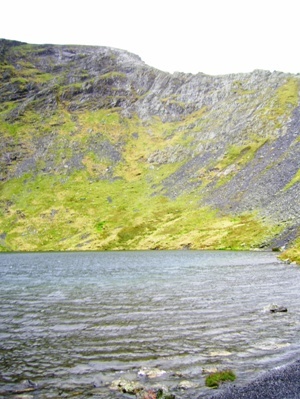 View of Sharp Edge from Scales Tarn. This was also taken on my Blencathra walk, 25 October 2009.